Writ and Tips: WRIT = God’s Word of command or decree of what He says is/is to be true. 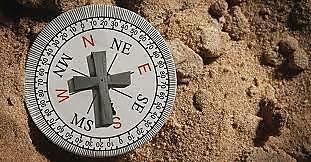 TIPS = Either good advise, encouragement, or direction (compass) from God’s Word concerning a problem we are facing in life, or how to avoid problems. All contributions are the opinion and understanding of the author. None of the following views, or comments, necessarily reflects the beliefs or teaching of Sierra Baptist Church. Have you ever said or thought any of these things? I am quite sure most of us have. Many of us face dark times of our own doing or as the result of others actions. At these times it is easy to be overwhelmed and even overcome by discouragement. Our thinking becomes clouded and many of us can swirl into a torrent of despair as the proverbial flood waters surround us. In the Bible a man, named Nehemiah, left his comfy job to answer the call of God to bring healing to the nation of Israel. It had been over 140 years since the Israelites were taken off to captivity. With the city of Jerusalem lying in ruins, the nation had no identity, no home and they were discouraged. Nehemiah was called to help rebuild the walls and gates of the city so the people could return and be the people of God they were called to be. The walls they set to restore were 15 to 20 feet tall, three to four feet wide, and over two and half miles long. What an endeavor! As you can imagine many Israelites jumped at the opportunity to return and help rebuild the walls. Nehemiah divided the tasks among groups of people to work on specific sections of the wall. In the book of Nehemiah chapter 4:6 he shares, “the people worked with all their heart”, as the walls went up. When the walls reached half their height of completion, discouragement set in. People were fatigued as they looked at all the rubble still looming before them. They were frustrated at all the work still ahead. Many declared, “We can’t do this!” Neighboring nations became threatened by Israel’s rebuilding and they planned to attack the people. The people of Israel trembled in fear and sought to bail on the project. Nehemiah prayed to God for wisdom and encouraged the people to do the same. He rallied the people to continue the work on the walls and posted guards to fend off attacks while they labored. Some people worked with a trowel in one hand and a sword in the other. Attacks were thwarted and the people finished fixing the wall and gates around Jerusalem in 52 days! Their discouragement turned to joy as the journey “home” was becoming a reality. Life became “livable” again; they had a hope and a future. They could go home! Discouragement can lead you to feel fatigued, frustrated and fearful. There is a way out. God is able to help. Bring your requests in prayer to Him. He cares for all his creation. God worked through Nehemiah to help people reorganize their lives to actively be a part of healing. If you are discouraged, you may need to fight this ailment through resisting bad attitudes, habits, or thinking that seek to rob you of life. (1)Frank Alioto is a former High School student of Gus Buma. He is currently a pastor in Kenai, Alaska. Frank also is a chaplain with Central Emergency Services in Kenai. COMMENT….......Music@echogroup.com: So good! Thanks for this encouraging story. The Bible Book Case N.T. The Bible Book Case O.T.